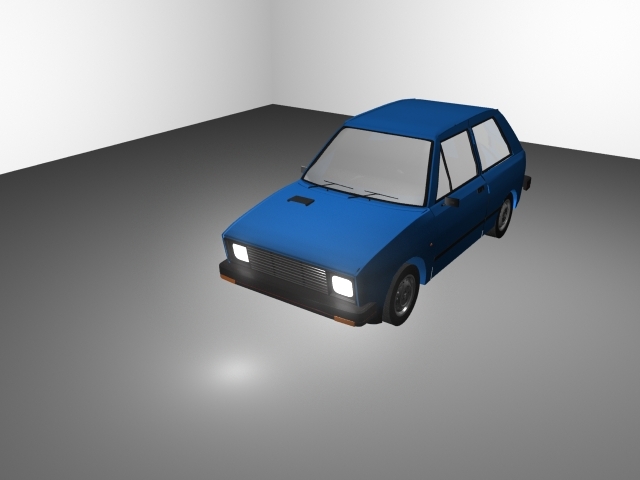 This is yugo 55 car model. This model is from 1989 year. To see this models and more models visit website msdesign.in.rs. Wow cool, which program did you use to cretae the car? love the lights effect on the floor! Eh, not a bad model. Render's very basic though, could use with some GI and more realistic materials.